A new site has been launched by author Michelle Connell, showcasing her romance work and other details. She is known for Cookie Encounter and Heir Force: A Military Inspirational Romance. Michelle Connell, the international bestselling romance author, has launched a new site showcasing her work and additional materials. She is known for writing clean, inspirational romance, second chance inspirational romance, military romance and a wide range of other stories. The author explains that, ever since she was two years old, she has enjoyed writing – wanting a typewriter, but being too young to even pronounce it correctly. While she didn’t get a typewriter for a long time, she wrote stories longhand, developing her skills from a young age. At first, she started out writing articles and book reviews for publication, and then took on the challenge of NaNoWriMo. It was here that she succeeded in writing 50,000 words in the month of November, and she felt confident about tackling writing a novel. Her debut novel, Cookie Encounter, received glowing praise on Amazon. It follows Natalie Alexander, who believes she is unworthy of a romantic relationship, before meeting the handsome Nick Norton. 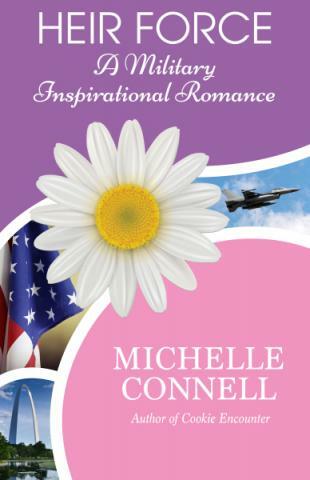 Michelle’s second novel, Heir Force: A Military Inspirational Romance, came out in 2017. Readers can follow along with Kate as she navigates the many challenges in her life after a tragedy. The Amazon page listing explains that, in Heir Force, Kate is threatened with her most challenging assignment yet, although it has nothing to do with the military. She is used to a life where she and her boyfriend, John Kern, can get sent anywhere at any time while serving their country. However, when tragedy strikes, Kate is devastated and left barely able to function. Full details on all of Michelle Connell’s work can be found on the URL above.